Big fans of the Bombshells we are. So check out this EXCLUSIVE PREVIEW of the next digital-first chapter! 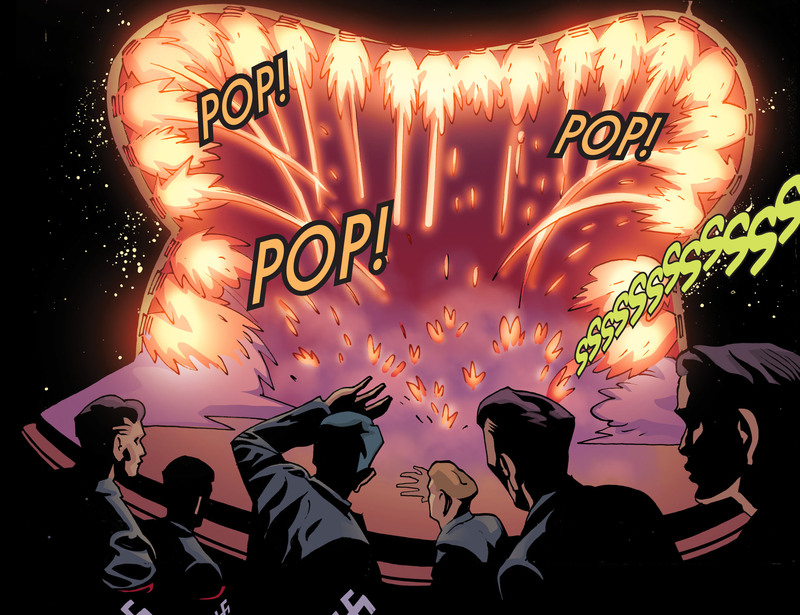 Chapter #34 was written by Marguerite Bennett with art by Ted Naifeh. Cover by Ant Lucia. It goes live 8/29. 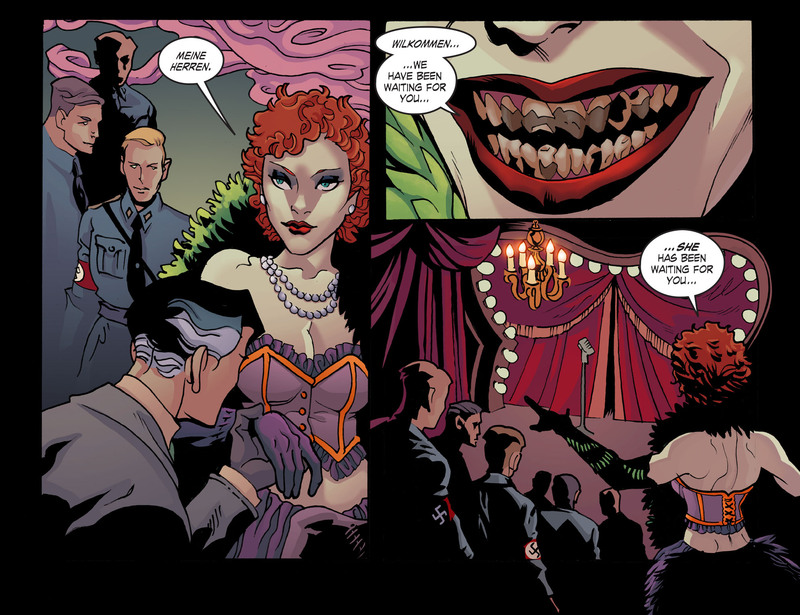 I dig how the Joker’s Daughter is like the demented love child of Sally Bowles and Marlene Dietrich. This comic is so much fun. 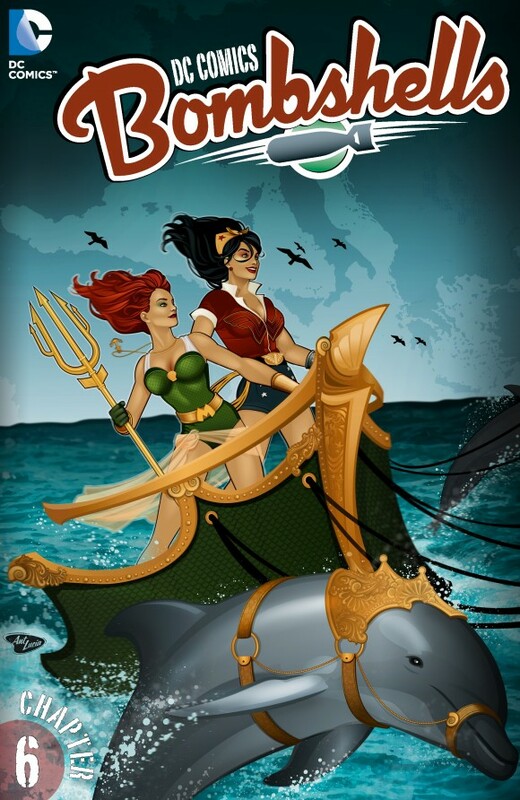 The chapter will be available for download via the DC Comics App, Readdcentertainment.com, iBooks, comiXology.com, Google Play, Kindle Store, Nook Store and iVerse ComicsPlus. And of course it’ll eventually be collected in a softcover volume.